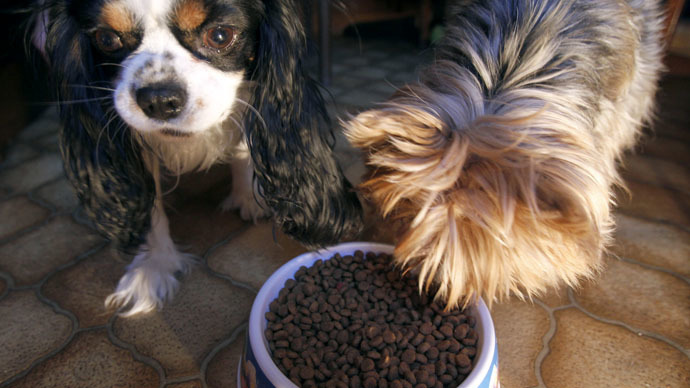 A major US pet retailer, Petco, has announced the removal of all China-made dog food from stores over concerns it could have caused the death of some 1,000 pets. The move will likely cost the company tens of millions of dollars. Pet deaths and illnesses were investigated by the US Food and Drug Administration, which “received in total more than 4,800 complaints of illness in pets” between 2007 and 2014. The stricken pets, mostly dogs, ate treats “nearly all of which are imported from China,” the FDA report said. Although the agency’s initial tests found no connection between the Chinese food and pet illnesses, two big retailers, Petco and PetSmart, promised in May that they would ban the treats. The FDA is meanwhile still investigating the illnesses and death. Petco will now sell treats made in the US or countries like the Netherlands, New Zealand, Australia and South America, the company’s Vice President John Sturm said, according to AP. He also mentioned that a change in vendors might cost the retailer tens of millions of dollars.